Adam needs to wear his "muppet skin" hat when he's with Boy Georga. That's a really good interview. Good interview! The only thing I wish for would be that BG would put Adam on his list of singers he would like to do a duet with. I guess BG is looking for singers who are more from his own era? BG did somewhat hint that Adam was invited to join him in Vegas. I kind of interpret it that way. @Dee R Gee, Boy George is having the runner-up (a contestant he mentored) on The Voice Australia 2016, support him on his Australian tour this month so it's great that he's giving a young singer the opportunity to do so. 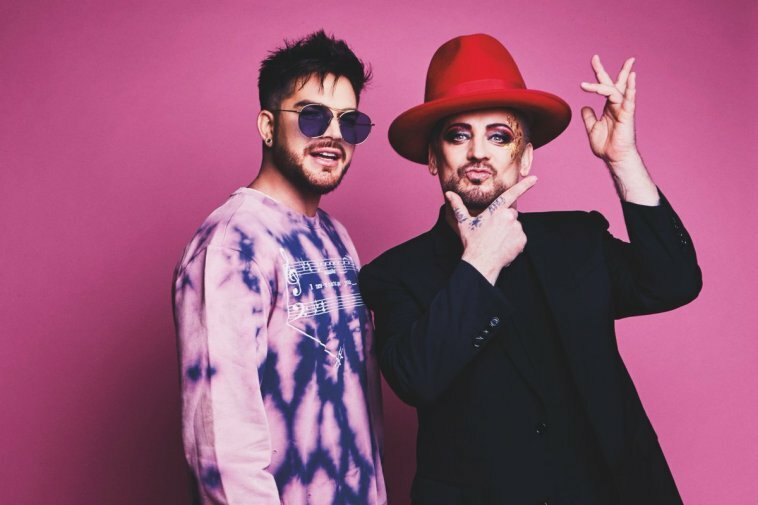 Perhaps for himself, Boy George might prefer to sing solo rather than part of a duet.